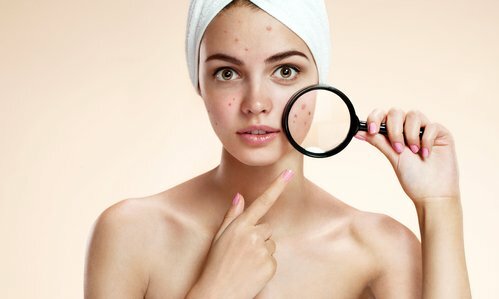 Are you in your teens and have started facing acne issues? So, wondering how to get rid of the acne and pimples. Read on here – this guide will tell you about the effective teen-acne treatment options that you have, and when to talk to a dermatologist for more help. Benzoyl peroxide is available, over-the-counter, in washes, creams, gels, and other forms. It comes in various strengths. Consider using a mild strength initially. It may work absolutely well and cause less irritation than a stronger concentration. 2nd Option- Salicylic Acid: Like benzoyl peroxide, salicylic acid also comes in many forms and strengths. It’s available over the counter, without a doctor’s prescription. It helps to unblock pores, break down both whiteheads and blackheads, and thus helps to treat both. How Long Benzoyl Peroxide And Salicylic Acid Take To Work? In case your acne does not improve after using over-the-counter treatments (nonprescription products) for a couple of months, it’s time to consult a dermatologist. (i) Retinoids: They work to unclog pores and help prevent both whiteheads and blackheads. (ii) Antibiotics: They help to kill p. acnes, acne-causing bacteria. Your doctor may prescribe either pills or medicine that you will need to apply on affected skin area. At times using two medicines at once clears up your skin fast. Some treatments are combined into a once-a-day treatment. Creams, gels, and washes alone may not help treat acne well in case of sever acne, and you will need to take antibiotic pills – in consultation with a dermatologist. To treat acne for girls and women, some types of birth control pills may be prescribed by the dermatologist to help control the hormone that may trigger acne. Hormone blockers such as spironolactone are also very effective for girls. Perhaps, the best treatment for acne is isotretinoin. To quote Danna: “Isotretinoin is the closest thing we have to a cure for acne.” If you take a pill once or twice a day for about 6 months, isotretinoin will shrink your oil glands, which would mean less oily skin, fewer clogged pores, and fewer bacteria. Caution: Isotretinoin has some side effects. For instance, it may put you at risk of depression. It may also cause birth defects if taken while being pregnant. So, Isotretinoin should be taken only for severe acne or breakouts, which don’t clear up with other medications. Isotretinoin can cause some other less-serious side effects also, make sure to take this treatment only after consulting a dermatologist, and do pay close attention to any precautions that your doctor gives when taking this medication. (i) Be Patient: Acne treatments may be a slow process, so be patient. Impatience and stress can cause more acne. (ii) Follow Directions: Make sure to follow instructions. Applying or using more medication than you should won’t clear your skin more quickly. Rather, this will irritate your skin and make your acne condition worse off than before. (iv) Look For Non-Oily Skin Care Products: In the words of Benjamin: “When you buy makeup, sunscreen, moisturizers, or other skin products, make sure the label says it’s noncomedogenic.” These kinds of products won’t clog skin pores. (v) Go Easy On Your Skin: Don’t wash your face several times a day. Twice should be enough. To quote Danna: “Washing 4, 5, or 6 times a day encourages oil production and can make acne worse”. (vi) Never pick or pop your pimples. That can make your acne worse and will cause scarring.